This year, the Eganville and District Seniors’ Centre is excited to celebrate its 30th anniversary! The Eganville and District Senior Citizens’ Needs Association came into being on October 21, 1987, after much leadership and support from the community. Selfless volunteers who sought no personal or monetary gain formed this foundation from the ground up. One of the first projects of the Association was to create a committee for seeking start-up funds before the grants kicked in. The committee had 22 members, hailing from all areas that they sought to serve. Larry McCann was the President of the committee at this time. This group worked together to calculate the amount of funding that would be necessary for their goals: “to establish a new home support program that will include transportation, diners’ club, information and referral, , telephone assurance and help”. The MPP for the area, Sean Conway, eventually provided what was called a grant but was actually a subsidy, for $10 762.00 from the Ministry of Community and Social Services. Len Hopkins, MP, then provided a further grant for $27 512.00 to assist in the “Seniors Interlink” project. Now, with the federal and provincial governments’ support, the committee asked the municipalities to provide $7.00 per senior in the next budget year (1988). Throughout this campaign for funding, Larry McCann was outspoken about the need for financial support. McCann sensed that some councils began to resent the pressure and felt that some believed he was part of the organization for personal gain, so he resigned in early 1989. The struggle for funding continued well into 1988, with parishes and local councillors contributing much of the costs. Eventually, a post office box was secured, and then an office on 220 Queen Street, where volunteer June Herron began her duties as the first paid employee in 1988. From this office, six programs were confirmed: an information and referral service, home maintenance, transportation, telephone assurance. diners’ club and fitness, drama and theatre. Nancy Matschke was soon hired as the Assistant Co-ordinator and the office’s hours increased. Space for a centre was then acquired in the basement of the library building. The programs began to thrive with the addition of the new centre. Many people volunteered to provide fun activities and events for local seniors to enjoy. Informative sessions were also provided to educate seniors on financial matters, exercise and assistive devices. Over the years, these founders passed away and resigned and new staff and volunteers took their places. There were highs and lows in the funding of course, but the organization remained standing. The events and activities didn’t slow and the organization grew over time. adding more and more services for local seniors. Eventually it was suggested that the Eganville and District Seniors’ Needs Association would add an addition onto Fairfields so that it could have more space for its activities. while not spending as much money as if they built it new. The community all chipped in, and the fundraising efforts raised some $200 000.00. The new building (here at 30 Bell Street, Eganville) began operating in 2010. To this day, there is an ever-evolving array of programs, services, events, and activities that happen daily. There is never a dull moment here at the Seniors’ Centre! Despite the organization turning 30 years old this October, one thing has remained constant throughout its existence- the dedication, selflessness, and passion of the volunteers is unwavering. Hundreds have volunteered over time to help make a difference in the lives of seniors, and many continue to do so today. 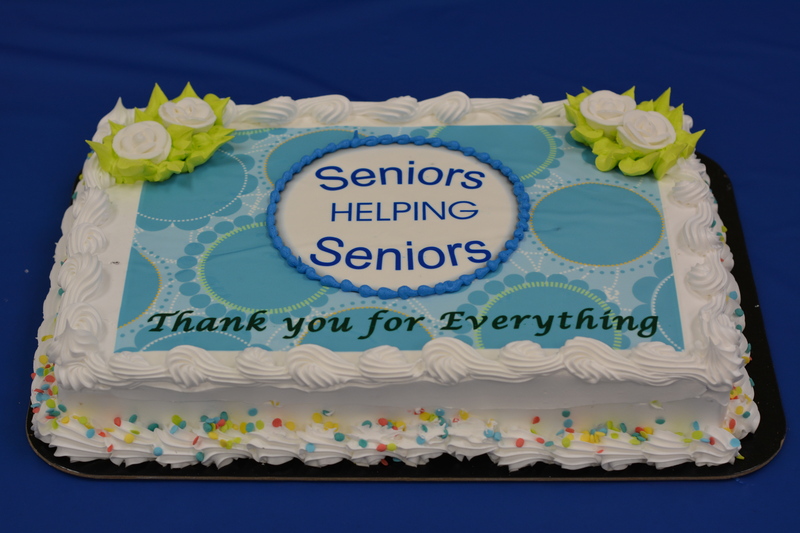 Thank-you to all who have supported the Eganville and District Seniors’ Needs Association in some way. Today, there continues to be a dedicated board for the Eganville and District Seniors’ Needs Association. The executive committee includes President William Enright, Secretary/Treasurer Maria Robinson, and executive members Lorenz Kelo, Dale Hartwig and Grant Owen. The representative for the Algonquins of Pikwakanagan is Wendy Jocko. The advisory group is made up of Irene Churchill and Gus Cammaert. Other board members include Denise Bergstresser, Terry Williams, Rhoda Caldwell, Susan Fynn, Joyce Gutzeit, Francis Brown-O’Malley and Shirley Maschke.